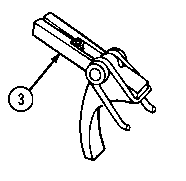 Inspect trigger assembly (3) for cracks or deformities. 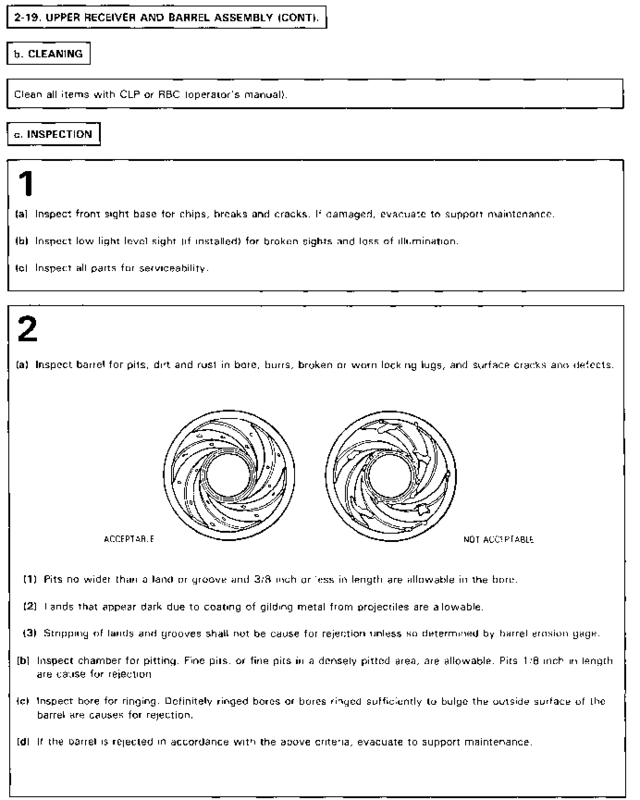 Inspect trigger for wear, cracks or deformities. Replace all defective components. Repair or replace all parts of lower receiver and extension assembly if defective. 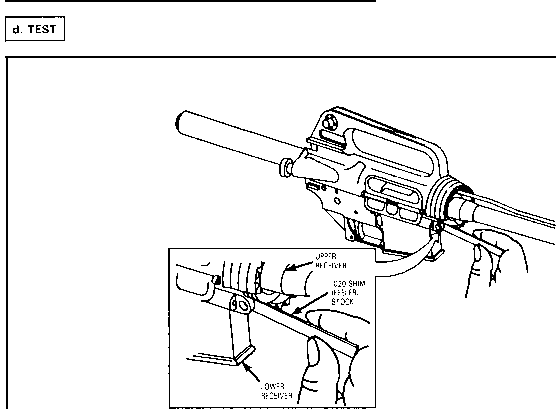 (c) If the thickness gage penetrates to the pivot pin at all accessible locations, repair by replacement of the upper receiver (see para 2 below) or replacement of weapon is required. 2. If the rifle fails the above test, remove the upper receiver and install a "NEW" upper receiver and perform the test again. 4. If the rifle fails the test with a new upper receiver, this failure shall be considered a shortcoming. This shortcoming requires action to obtain a replacement weapon, Once a replacement has been received, evacuate the original weapon to depot for overhaul.